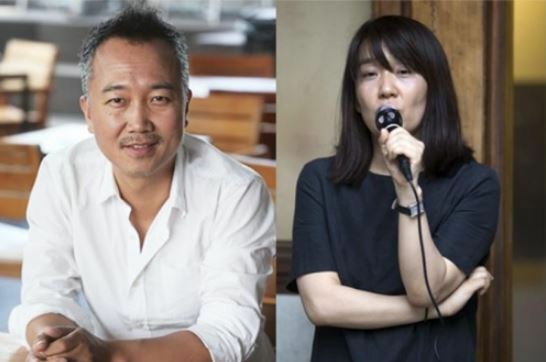 South Korea's internationally acclaimed writer Han Kang and media artist-film director Im Heung-soon will take part in the 2018 Carnegie International, the oldest North American exhibition of contemporary art from around the globe. The two Koreans are on the list of artists participating in the 57th edition of the biennale, announced by the Carnegie Museum of Art in Pittsburgh on Wednesday (local time). "Carnegie International proposed a collaboration between me and novelist Han Kang," Im told Yonhap News Agency by phone on Monday. "So I have been meeting her to discuss the work." Im said the team's artwork will feature modern and contemporary Korean history and that details of the work will be unveiled soon. He won the 2015 Silver Lion at the Venice Biennale for "Factory Complex," a feature-length documentary film that looked into the harsh working conditions of female laborers in Korea. Han won the Man Booker International Prize in 2016 for "The Vegetarian."